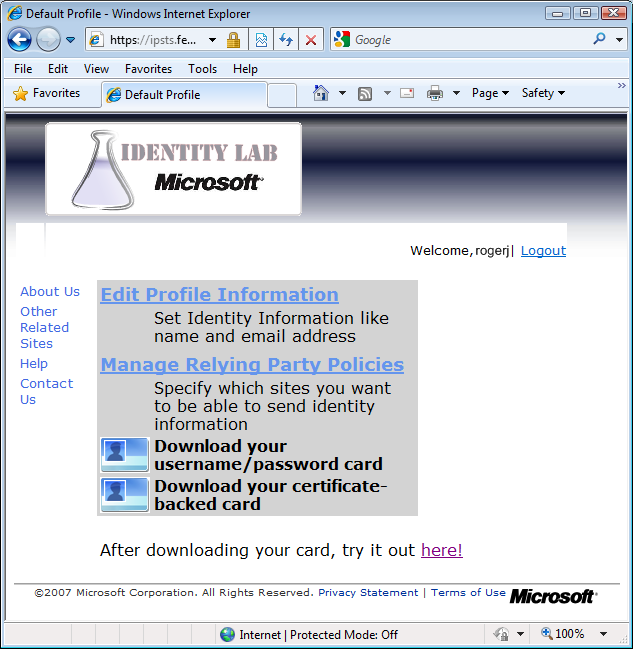 Microsoft’s Identity Lab (Identity Protocols Security Token Service, ipsts) is a set of hosted security token services to support testing of Identity Protocols. 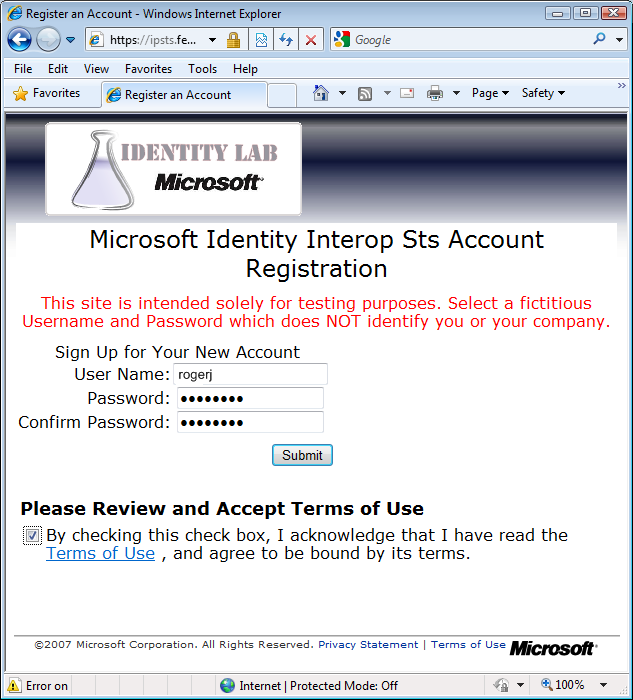 The goal of the lab is to provide a set of custom test endpoints to evaluate the interoperability of Identity Protocols amongst multiple partners and vendors. 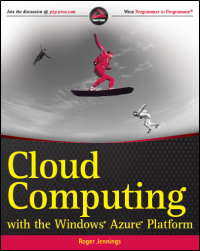 Microsoft promotes its CardSpace credentials as an industry-standard, SAML v1.1-compliant source of identity information. 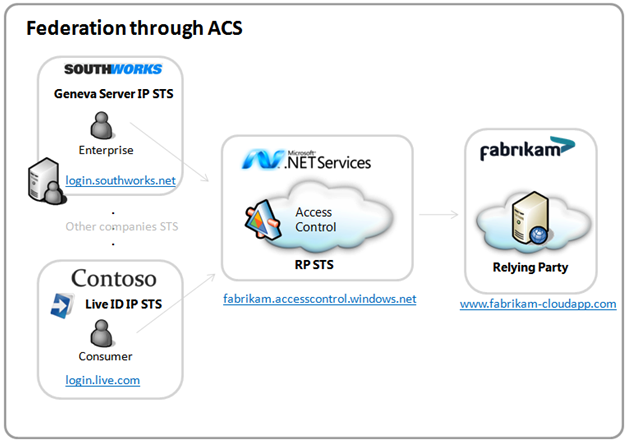 There are no help buttons on the pages for creating a CardSpace credential, so I captured the following page views to help readers of Chapter 9, “Authenticating Users with .NET Access Control Services” add a CardSpace credential to their computer. 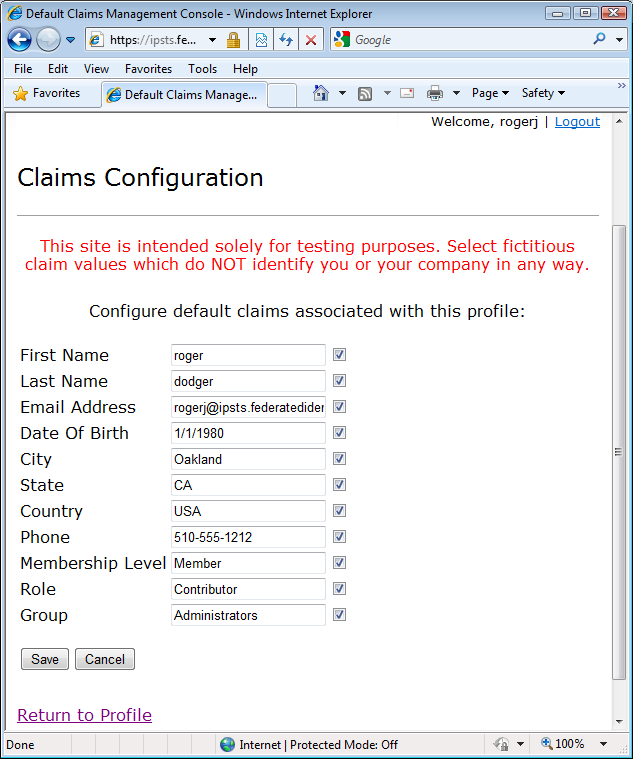 Click Submit to open the Claims Configuration page. Accept the default (marked) setting for the By Default, Release the Following Claims to Any Relying Party check box. These are the minimum claims required by most relying parties. Type fictitious names in the First Name and LastName text boxes, accept the referring party’s Email Address (UserName@ipsts.federatedidentity.net). 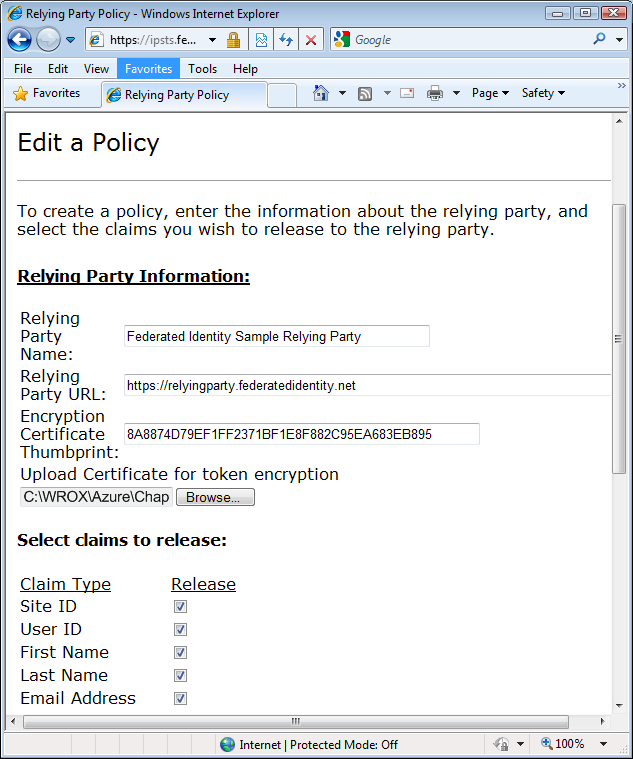 Click Submit to return to the Edit Profile Information/Manage Relying Party Policies page, click Save to return to the Manage Relying Party Policies and click the Manage Relying Party Policies link to open the Relying Parties page which contains Edit/View buttons for HTTPS and HTTP policies. Click Save to save your changes and return to the Edit Profile Information/Manage Relying Party Policies page. 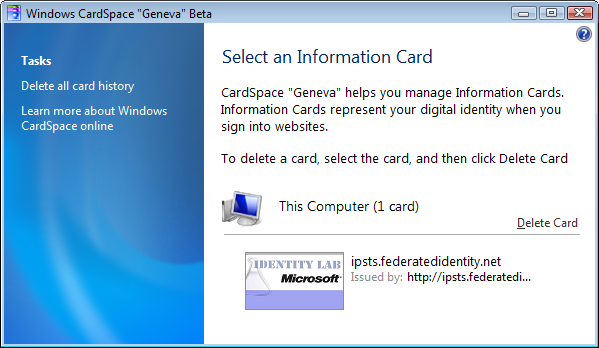 For more information on the CardSpace Control Panel applet, read Oren Melzer’s The CardSpace “Geneva” Selection Experience post of 11/18/2008 to the somnolent “Geneva” Team Blog. The OfficeLive team announced on 8/27/2007 that Windows Live ID adds Beta support for Information Cards with Windows CardSpace! However, I haven’t been able to get the Windows Live ID Information Card management page to work, regardless of whether I use saved username/password credentials or type them in manually. After almost two years, you would think their process would be out of beta and work reliably.